Molly MacKay Zacker — MacKay & Company, Inc.
Molly MacKay Zacker (as her name implies) has been involved in this family business since she was old enough to put labels on surveys, type and answer phones. Work at a young age was always not by choice. Now, and by choice, she is MacKay & Company's Vice President of Operations. In this capacity, she coordinates many behind the scenes activities, manages the Research Department, writes and proofreads reports and presentations, conducts research and interfaces with clients. Her kind and family oriented nature combined with her passion for trucks, make her the go to person for well rounded decision making while being open to new ideas that will advance the company for future generations. Molly enjoys spending time with her family - her husband, Dave, and their three children, Ben, Abby and Zoe. Gardening, reading and exercising are all favorite pastimes. 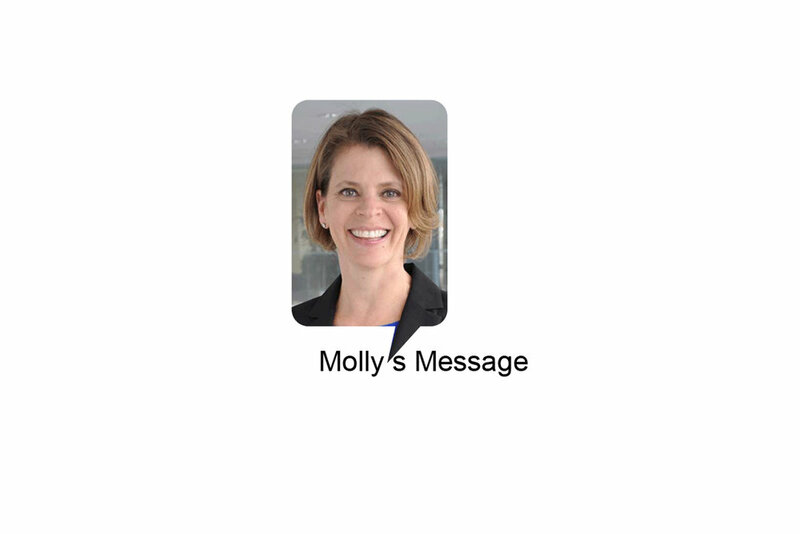 Molly holds a Bachelor's degree in Economics and Business Management from Goucher College in Towson, Maryland and a Master's degree in Early Childhood Education from Western Michigan University in Kalamazoo, Michigan. All-time favorite books: A Tree Grows in Brooklyn and Nothing Daunted (a true story based on her mother's great Aunt). Favorite movies: About Time and Love Actually. I am happy to be a part of this dynamic team at MacKay & Company! I have decided that in my next life I will cook more, read more, putz in the garden more, walk our dogs more, ride on the back of husband's motorcycle more, kayak more…the list could go on and on. Thank you so much for stopping by and taking the time to send me a note.